Two stand alone units on large city lot. The lot is zoned commercial, but 'Grandfathered' multi-family. Adjacent commercial bldg. and storage shed are sold as is. Lot is zoned commercial (C-3). Access is off Midway Blvd. Driveway has 3 off street parking spaces and access to back of the lot. Room for additional parking and addition. 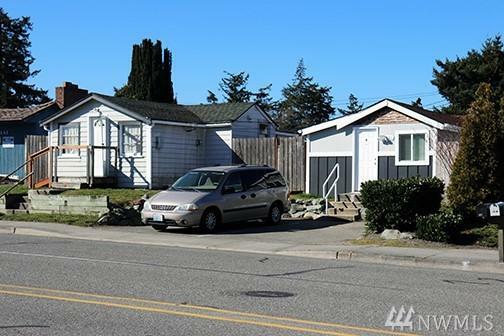 Centrally located in Oak Harbor close to the business district, dwntwn and bus. Convenient to NAS Whidbey and Hwy 20. Must be sold with 141 NE Midway Blvd #1426499.